It's the time of year for reflection. Maybe it's just because we get to slow down enough (those of us who are lucky enough to get time off from our day jobs), but here in the waning days of the year, we have time to wonder if they were good days or not. On the writing front, my year was pretty damned amazing, I must say. In 2013, in honor of my forty-second birthday (which, according to Douglas Adams is the answer to life, the universe, and everything), I made a promise to myself to start taking my writing seriously. For me, that meant developing a daily writing habit and finishing and submitting things. I stopped talking about being a writer someday and started being a writer now. 2014 began with that daily writing habit firmly in place. In fact, today marks my 460th day in a row of writing every day. My chain before that was 280 days long, and was broken by only a single day. That may not sound like an impressive feat, but I tell you it has made all the difference to my productivity. (I've written about the tool I use to track this progress here and here). I've written over half a million words in that time. Thanks to that habit, I finished my second novel--which will now be the first one to get published! A story featuring one of the characters in that novel was published in April, Patricia Saves the Beauty Queen. This turned out to be only the first of several breaks I got this year in publishing. Before that came a decade long dry spell between the poetry I published before I had children and this story. A long, arid desert broken only by a single academic article. It feels good to be on the other side of it. I hope I get to stay here! In August, Curiosity Quills signed on to publish Going Through the Change: A Menopausal Superhero Novel. We're now down to 112 days until the book is actually released. Sometimes, it's hard to even sit still, I'm so excited by the prospects of that! I was hot off the first flush of excitement over that contract when I went to GenCon's Writer's Symposium. I blogged about my experience there and CQ featured my post. Another project I've been working on are what I call my Shadowhill stories. When there are enough of them, I hope to publish a collection. They're weird tales, set in a neighborhood a lot like the one I live in, but with more magic and horror and strangeness. One of these was published in an app-zine. The New Accelerator published Lawn Wars in October. October also brought another one of my blogposts being featured on my publisher's website: Sleepover, a personal ghost story. 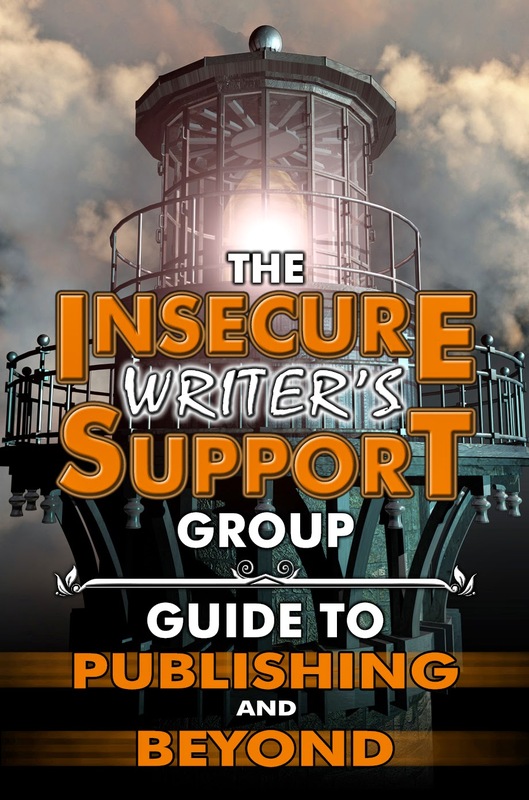 November brought the publication of one of my blog posts in an anthology of writing advice: The Insecure Writer's Group Guide to Publishing and Beyond. My piece was called "There are Plenty of Fish in the Sea" and was about how traditional publishing is like dating. You can read the original blogpost here. I also wrote a brand new science fiction story called "Under An Orange Sky" that was accepted for an anthology that should come out soon. I finished the year with a guest posting on Friend for the Ride and another short story, on Acidic Fiction. I also blogged a lot--roughly once a week. For next year, I've already got lots of plans for what to finish and what to write new. It feels like I'm on the cusp of living a dream I've had as long as I can remember. That's scary and exciting all wrapped up in one tortilla and served with nice, warm beans. The moral of the story? It pays to take yourself seriously as a writer. I worked hard on my writing in 2014. I grew as a writer and hope to do the same again in 2015. May your new year bring you a step closer to what you dream of! You Got Your Christmas in my Chanukah! I Won't Be Home for Christmas, Part V.